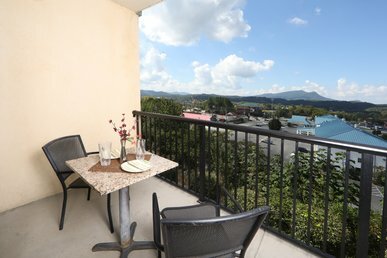 The balcony—and even the living room—of Mountain Vista looks out toward the Great Smoky Mountains in all their splendor. 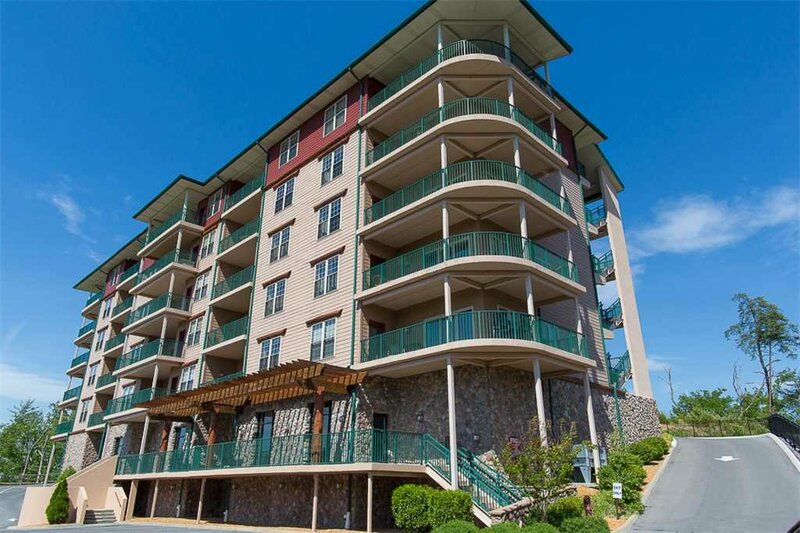 Yet the 2-bedroom condo is also just a mile from the Pigeon Forge Parkway, the town’s main thoroughfare and home to a wealth of restaurants, shops, and attractions. 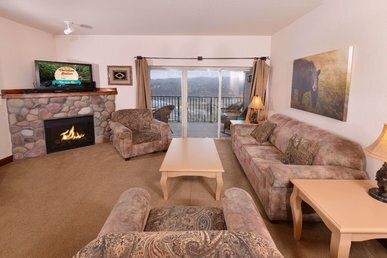 When you stay here you, can enjoy it all—as well as the amenities of the Big Bear Lodge and Resort, which Mountain Vista is part of. 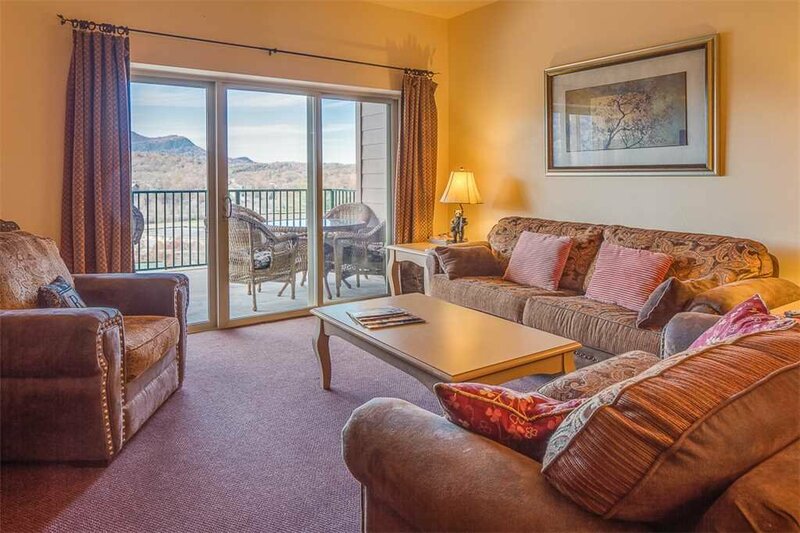 A center unit condo in an elevator building, Mountain Vista proves that comfort and style can go hand in hand. 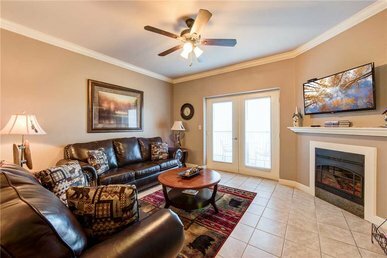 The living area’s sofa and armchairs invite you to curl up with a book, stretch out with your tablet to surf the web or kick back with family and friends as you enjoy a movie on the flat-screen TV. 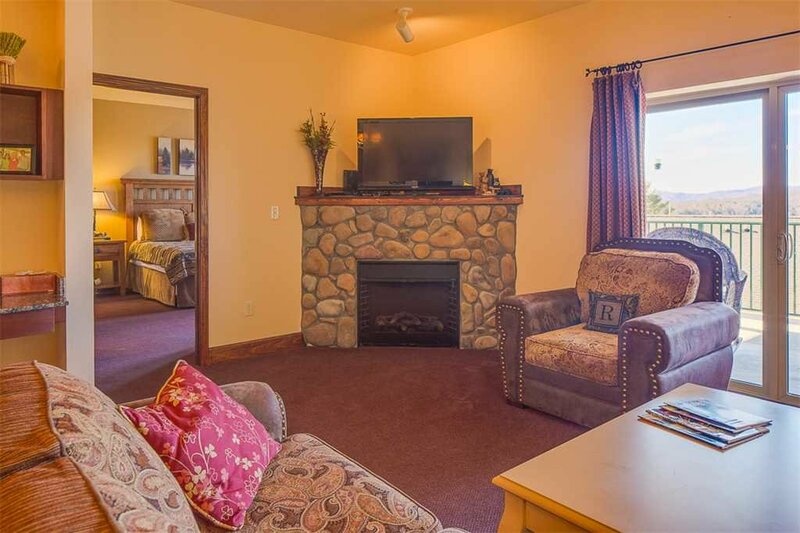 In winter you’ll love basking in the warm glow of the fireplace; in summer you can open the sliding doors that lead out to the balcony and revel in the crisp mountain breeze. 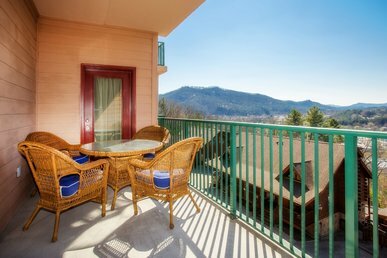 As well as rocking chairs—perfect for watching the sunrise with your morning coffee in hand—the spacious covered balcony has a patio table and chairs so that you can dine alfresco or enjoy a nightcap under the stars. 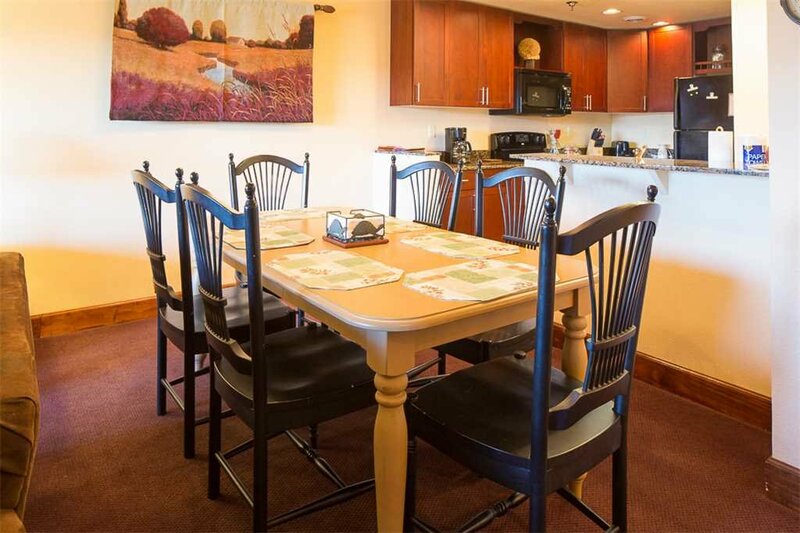 Of course, you can take your meals indoors as well; the condo’s dining table seats 6, and it’s positioned so that you can still take advantage of the view. 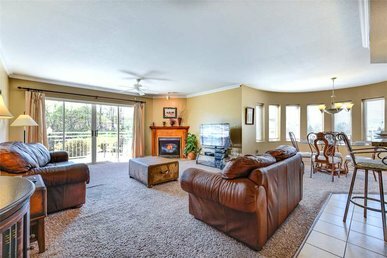 In fact, you can admire the vista even while cooking, thanks to the open floor plan. 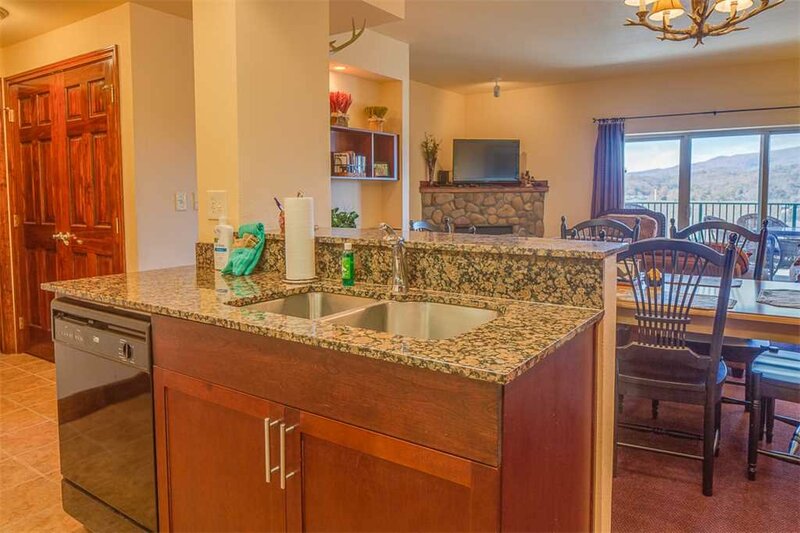 And though eating out can be a vacation highlight (and the condo is close to so many restaurants), once you see Mountain Vista’s kitchen you may be eager to try those gourmet recipes you never have time to make at home. 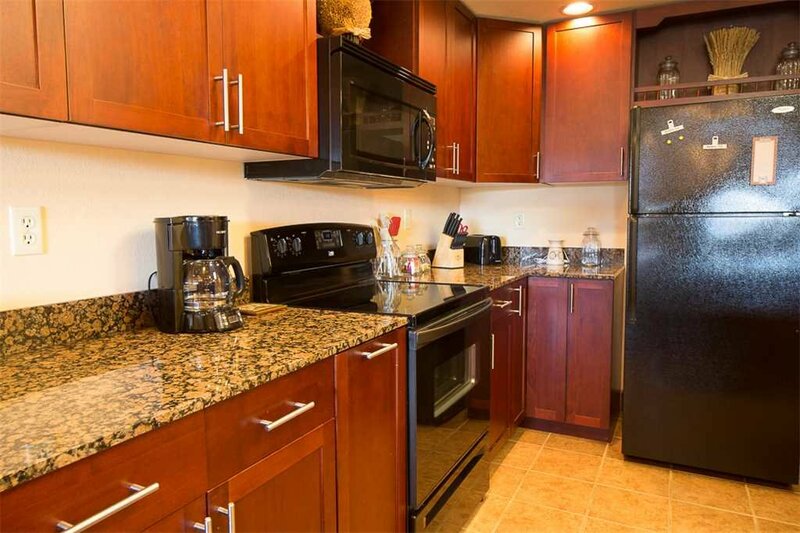 From the recently updated appliances to the gleaming granite counters, the kitchen has everything you need to prepare a royal feast—or to reheat leftovers from the previous night’s restaurant meal. 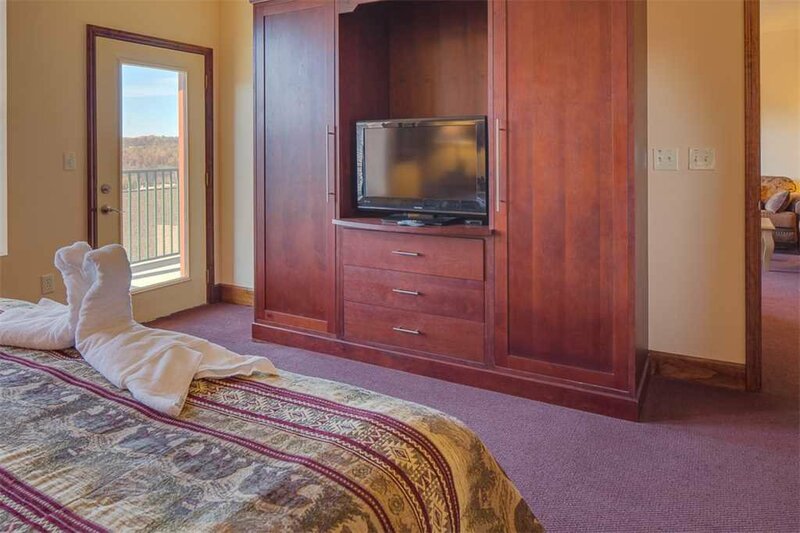 Both of Mountain Vista’s bedrooms feature a lofty king-size bed and a flat-panel TV, which makes the condo as well suited for 2 couples as it is for a family. And if you have additional guests, that luxe sofa in the living room can convert to a queen-size bed, so that up to 6 people can spend the night. 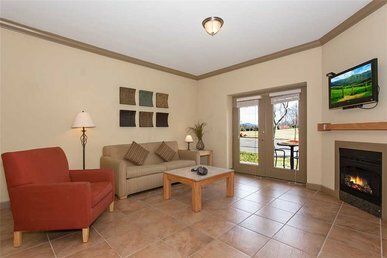 As well as 2 bedrooms, Mountain Vista has 2 bathrooms, which will make mornings much less hectic. 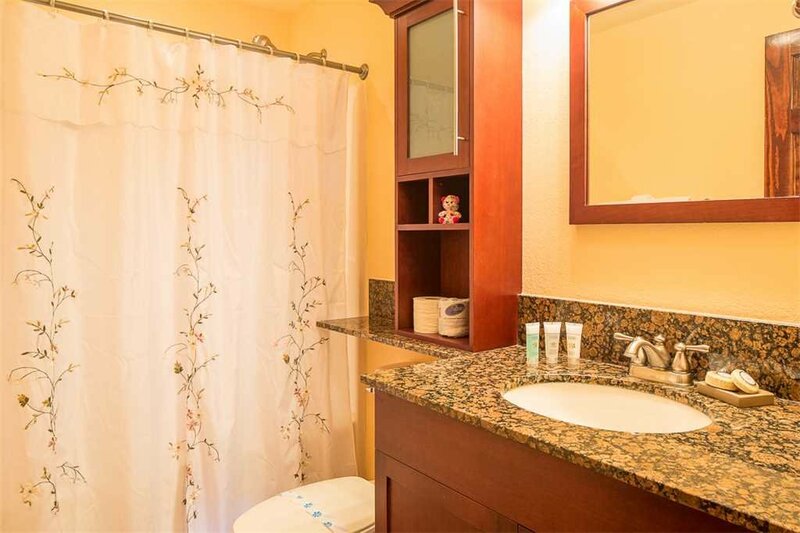 One of the bathrooms is especially pampering, with a large walk-in shower and a spacious Jacuzzi. 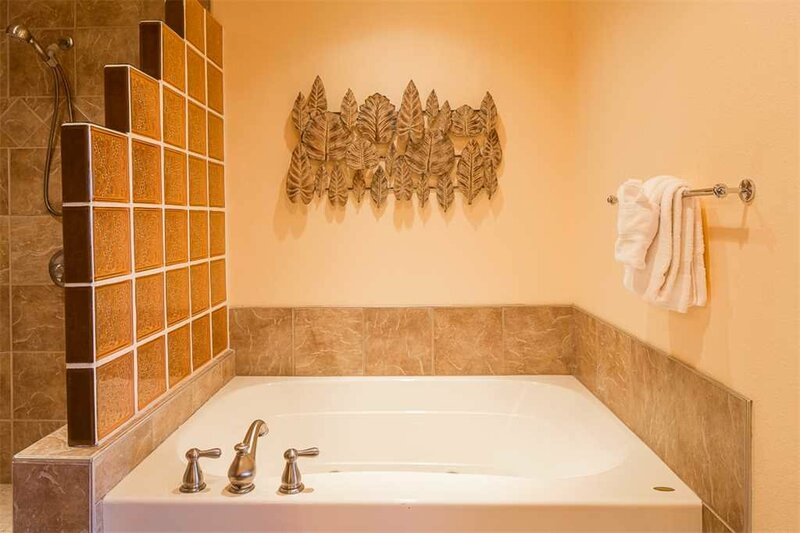 What better way to end an active, fun-filled day than with a languorous soak in a private jetted tub? 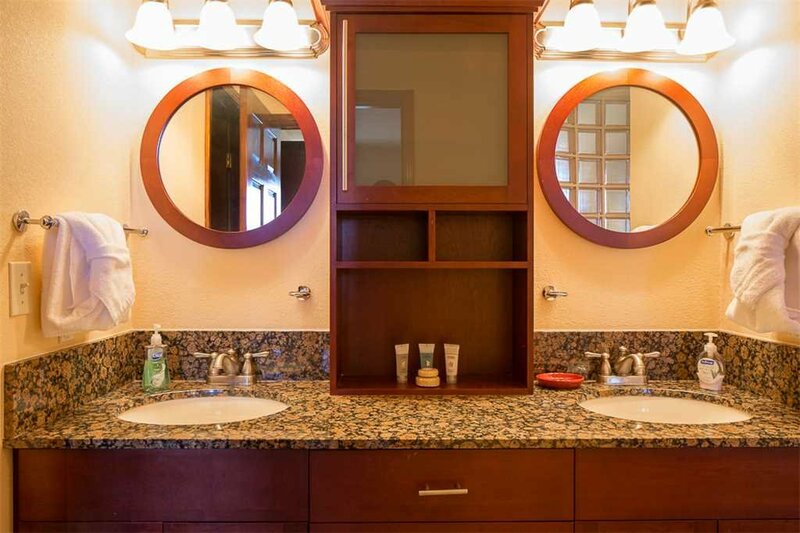 You’ll find plenty more amenities within the resort itself. 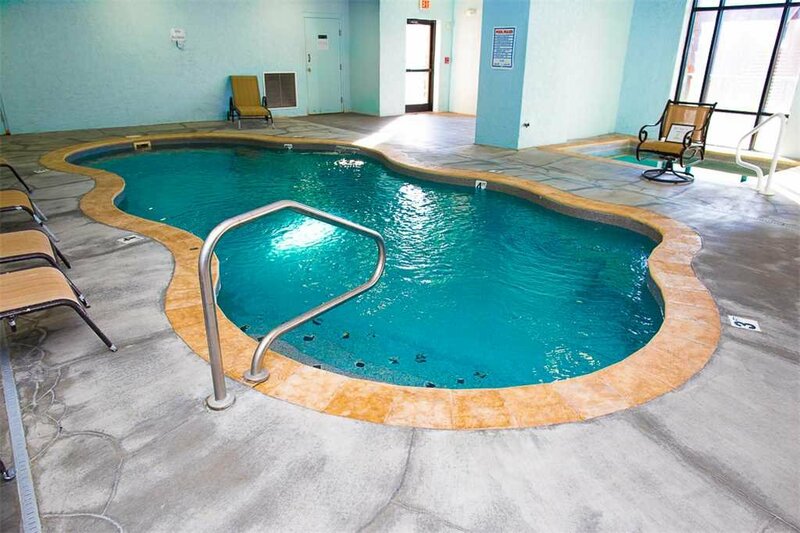 Big Bear Lodge has both an outdoor pool for use in the summer and an indoor pool you can take advantage of year-round. 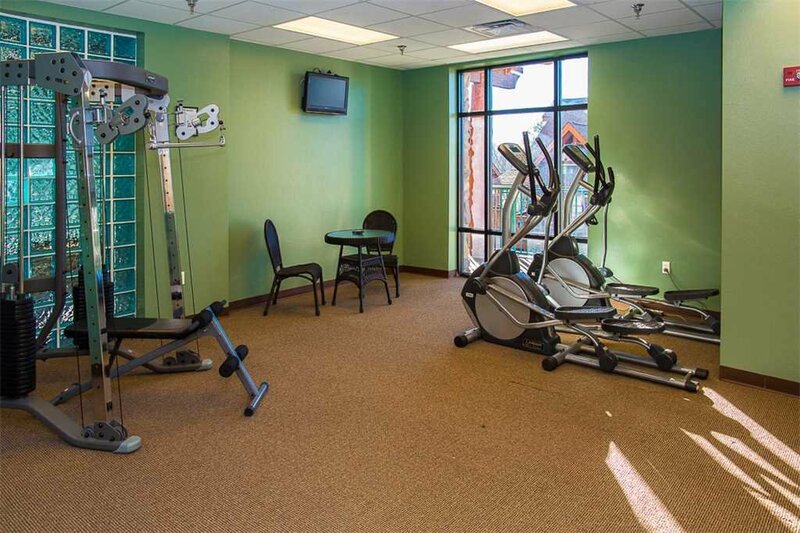 If you’d prefer a different type of workout, head to the cardio machines of the exercise room. 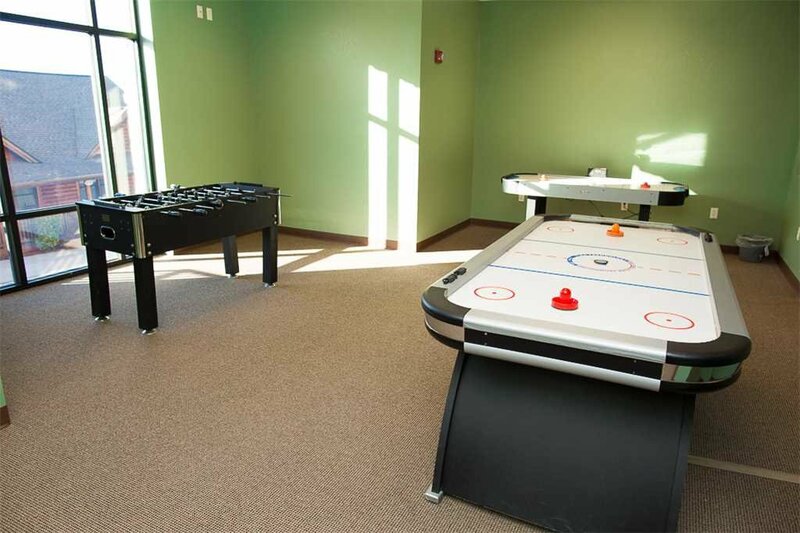 And don’t forget about the game room, with its foosball and air-hockey tables. 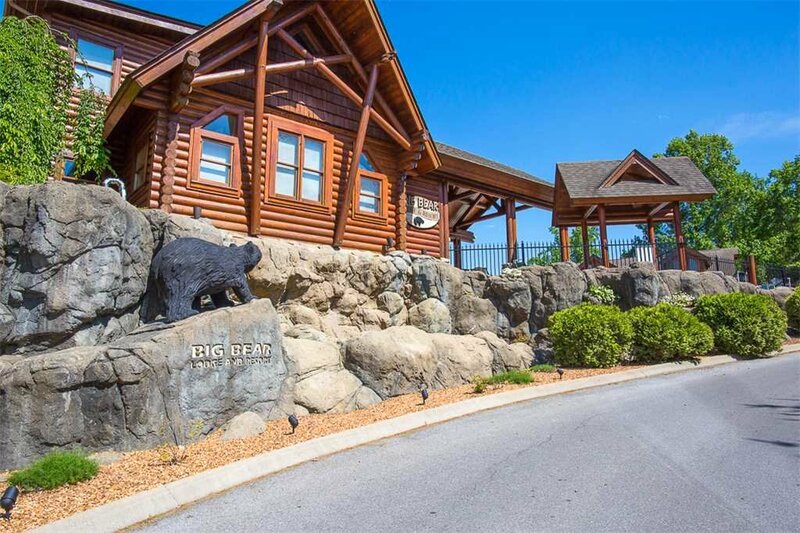 Just beyond the resort are the myriad attractions of Pigeon Forge and Gatlinburg. 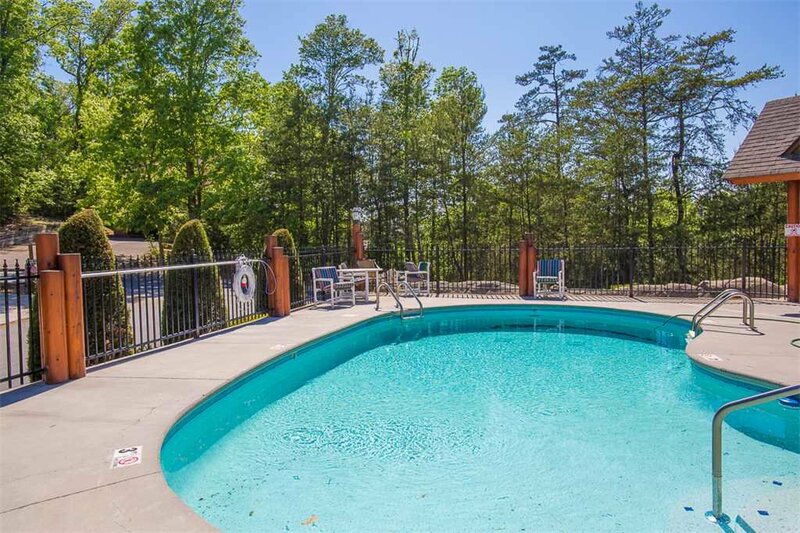 Dollywood, WonderWorks, the Titanic Museum, music venues, outlet shopping, laser tag, and more are just a few minutes away. 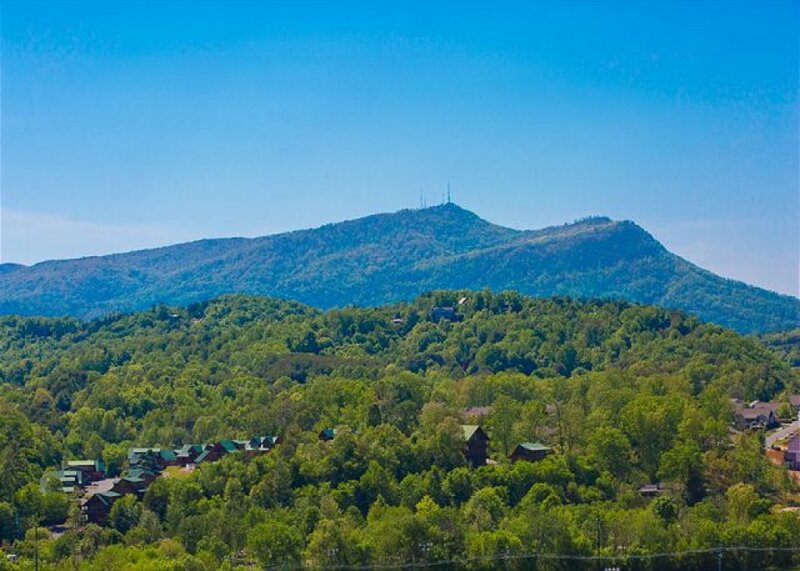 Slightly farther afield are the Great Smoky Mountains National Park, a true must-visit, where you can view wildlife, wildflowers, and waterfalls, and Ober Gatlinburg Amusement Park & Ski Area. 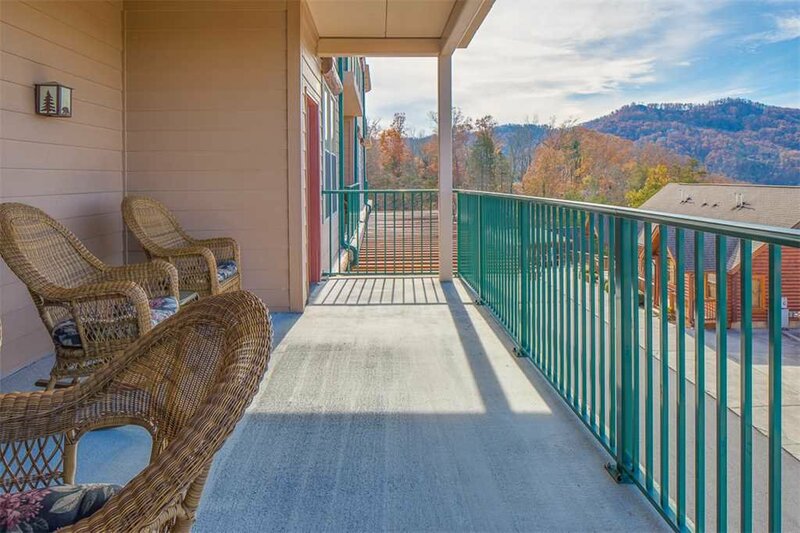 Mountain Vista’s prime location and bevy of amenities make it easy for you to enjoy the vacation of your dreams. You can hike among the mountains one day, live it up on thrill rides the next, and laze and lounge the day after that. So what are you waiting for? 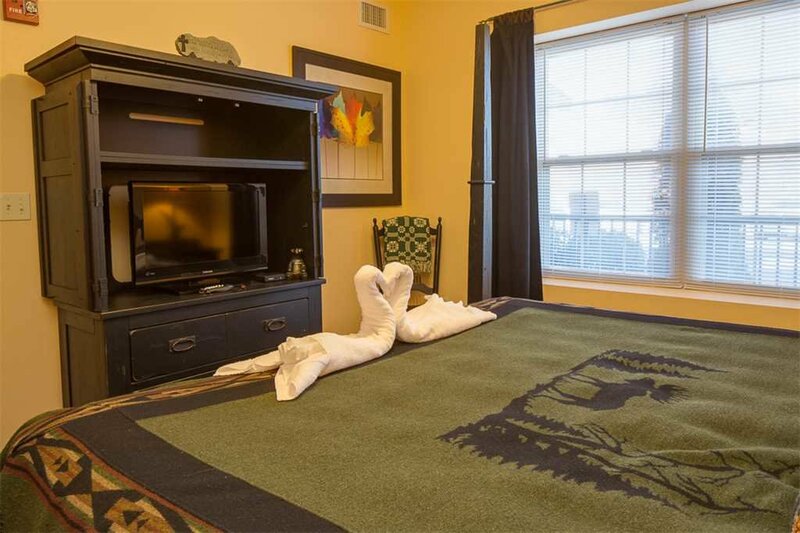 Make your dream come true, and book your stay today! 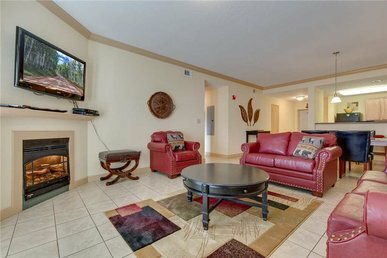 We had a really nice stay at this condo. 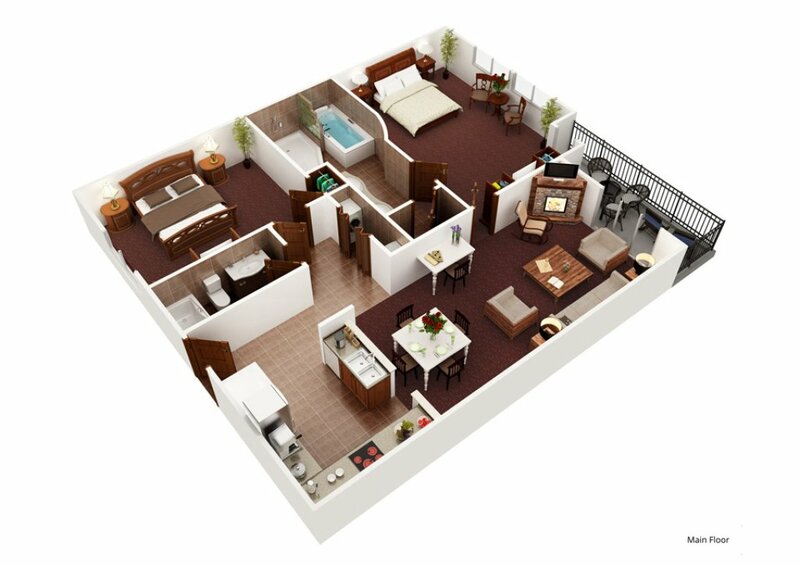 Very well decorated & clean. 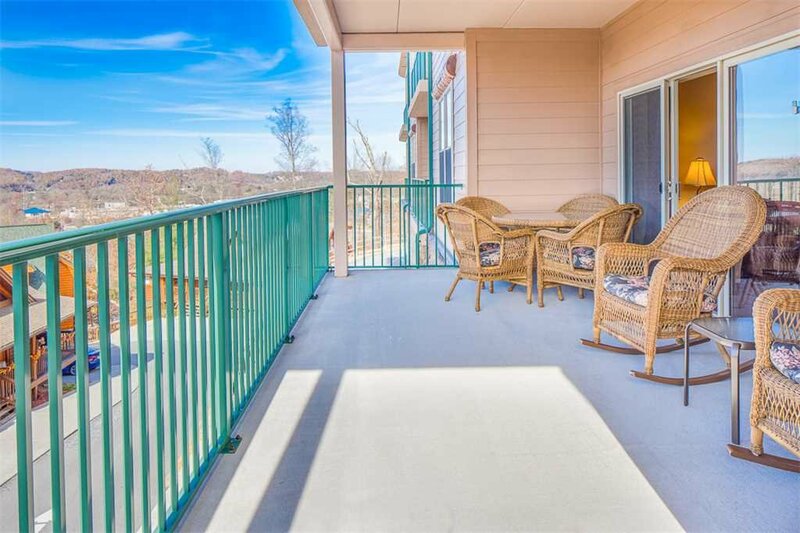 Balcony is very large with good views. Enjoyed the BIG jacuzzi tub. 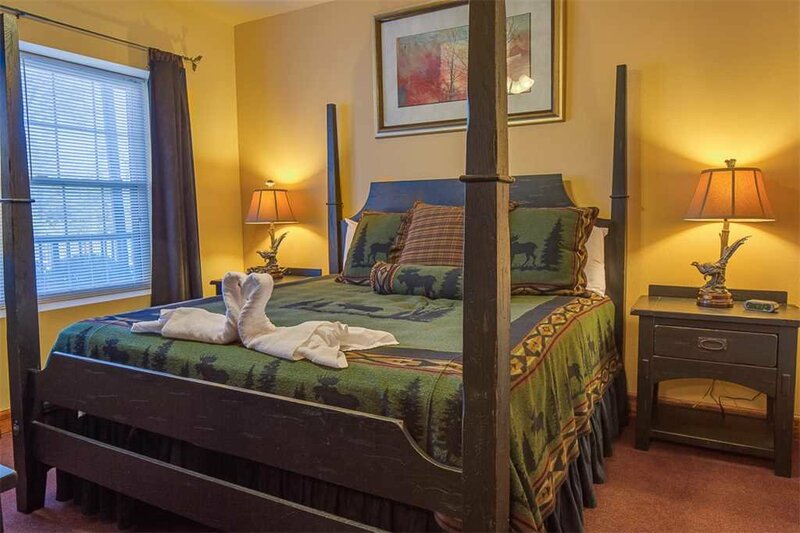 excellent Will be back close to everything and the room was beautiful and had everything there that you needed. Plus we had handicap people and they loved the walk in shower.Only thing I can say the inside pool was very cold and the people outside working started way to early but other than that every thing was excellent...LOVE LOVE LOVE it..
Paking was an issue especially after dark.Would be nice if more spaces were added. Very difficult for handicap as were not enough spaces to go around. Other than that would highly recommend. Thanks for the four-star review and comments. Unfortunately, we are not able to add additional spots, but this is typically not a problem. There are approximately two spots per condo in this building. We hope to have you back soon! Our family stayed here over a weekend and will come again very soon. 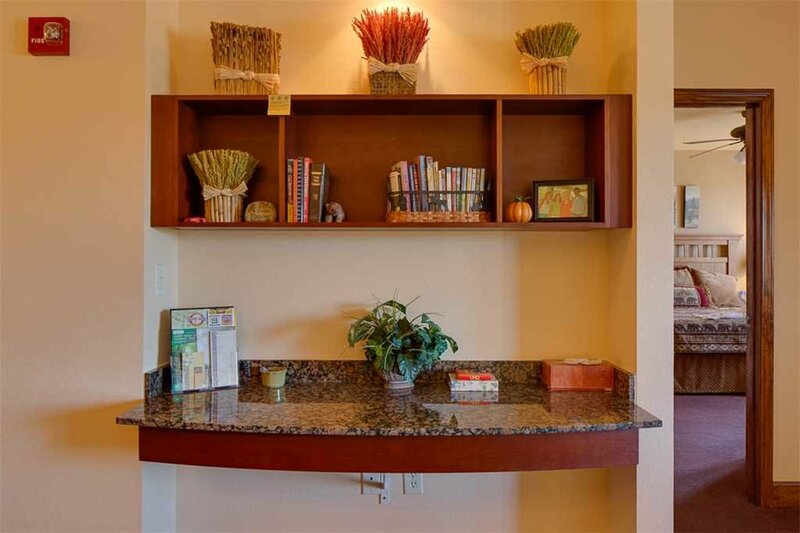 The condo was so clean and had everything you could possibly need. We felt right at home. The location was perfect as well. So close to everything but you didn't hear the noise associated with town. 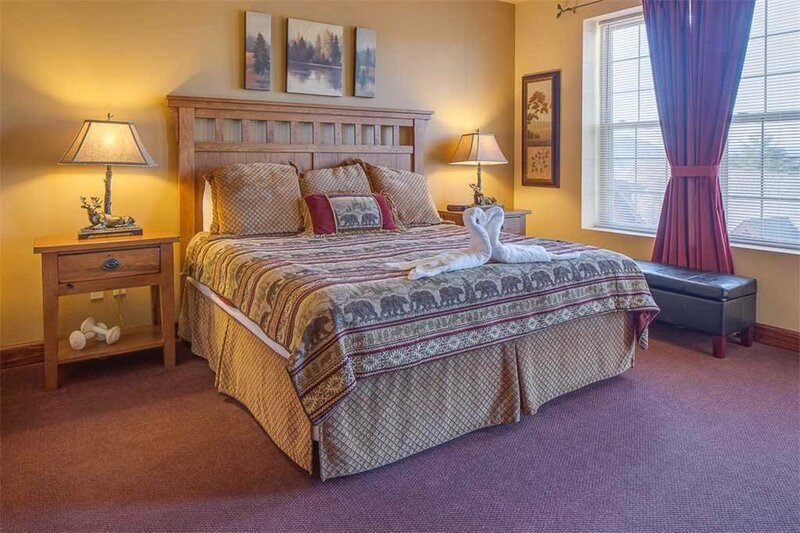 Thanks for the five-star review of Mountain Vista! We are happy to hear that you enjoyed the location and appreciate you mentioning the cleanliness. What did you think of the amazing view? Come back soon! We stayed at this property a month ago but in a different unit. Did not like the 4:00 check in and u can't check in early. The other unit we could. The unit was clean and the management was helpful. A later check in and earlier check out would be nice. We had a wonderful time while staying in condo number 2003. We had a person on a walker and it was so convenient to park and walk in on ground floor. 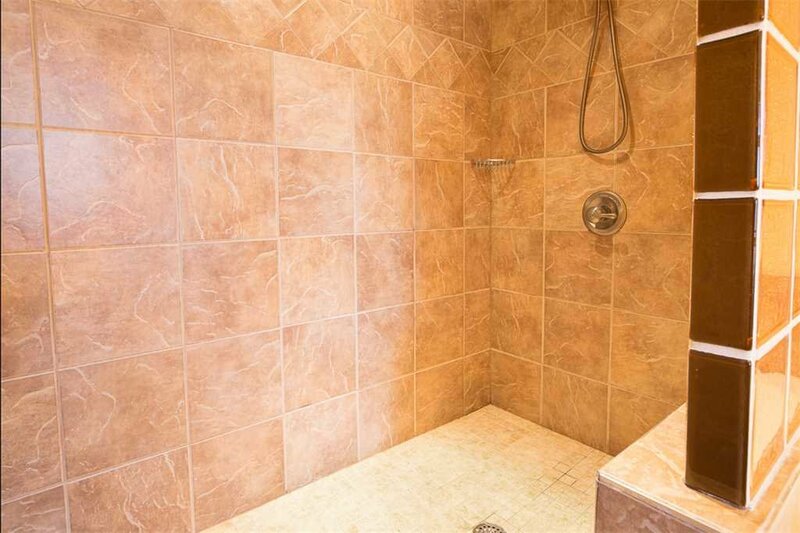 The condo was decorated beautifully and has such high end finishes. The large balcony was so nice and the views are just gorgeous! We will definitely stay here again! We loved our condo, was a 10 ?? We had so much fun we want to come back next year! Our condo was easy to find and very clean. I will be keeping this number and making plans for next year. We took our son to Pigeon Forge for a weekend before he shipped out to Parris Island. We had a wonderful time and were able to make a lot of memories! Definitely be back!